Jaded Blossom: A basket full of treats! Barb here from BugBites and I have a spring time treat to share with you. Yes, an Easter Basket. It is that time of year after all. 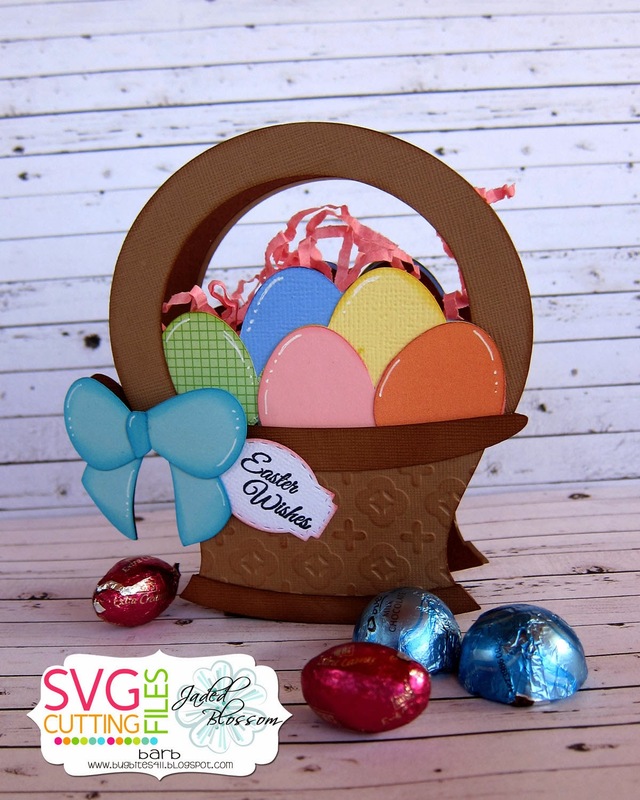 This super cute Easter basket is from SVG Cutting files and is in the store now. This basket reminds me of the basket I had when I was a child. Jaded Blossom has the perfect sentiments stamps and tag dies to stamp them on. 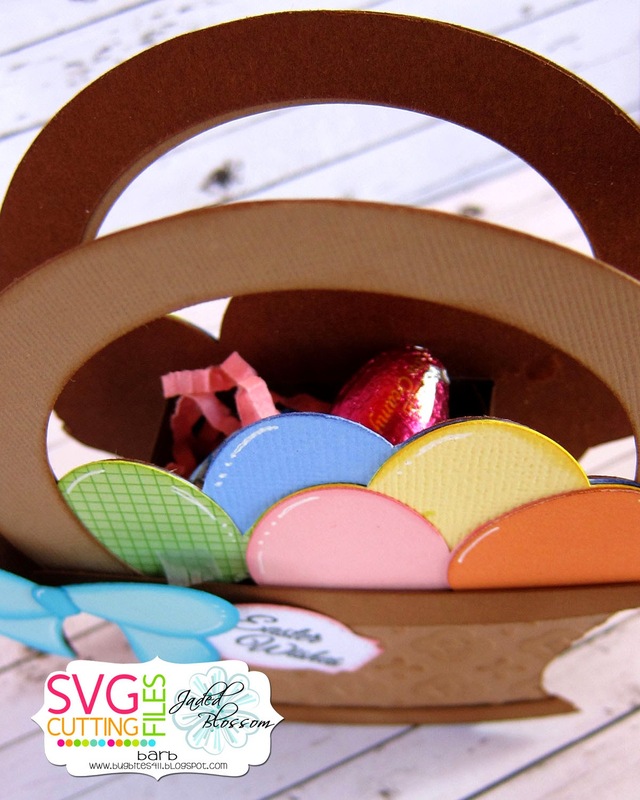 For my treat basket, I used the JB Mini Tag dies 2 and Easter Treats 2 stamp set to add the elegant Easter Wishes tag. I mirrored the basket in the Silhouette design studio so I would have the same on the back side. That allowed me to sandwich a simple box between the two for a few chocolate eggs. Your sweet basket is terrific. Thanks for sharing.